Last week, waterfowl in Carr Park recovered from apparent overdoses after hundreds of heart medications, antidepressants, anti-anxiety and insomnia tablets were found in the park. 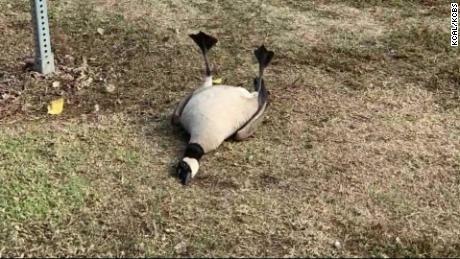 A Canadian goose and a ring-billed gull received infusion solutions after both showed severe overdose symptoms. This time another goose has been picked up by the Wetlands and Wildlife Care Center. The bird was found in the neck with a plastic archery arrow. 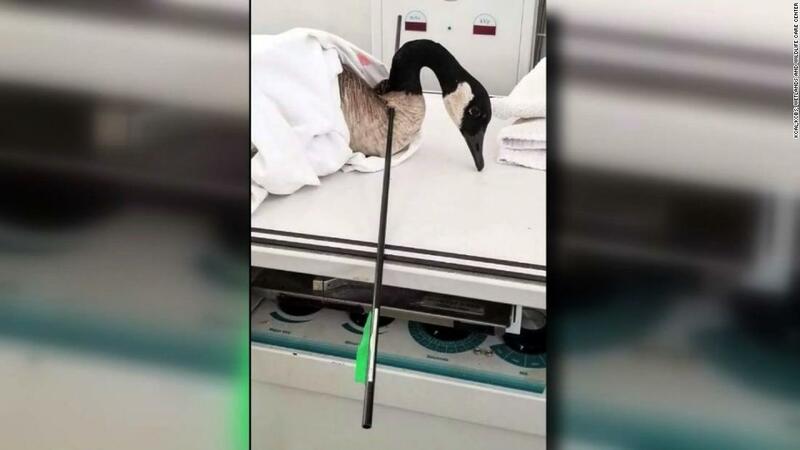 The goose flew about one week in Carr Park with the arrow in its neck. This means that it could have been found in the park at about the same time as the pills. However, according to the CNN subsidiary KCAL / KCBS, it is unclear whether the incidents are interconnected. Rescuers say it's a strange coincidence – and the Wildlife Center said the incident is being investigated. "Sickening," commented a Facebook user. "There has to be a tougher punishment for abusing animals, it breaks my heart." "Seeing the ducks, geese and other birds in this park is relaxing," said another. "I agree that a camera is needed and I will save money on cameras to save these beautiful creatures." The center also announced earlier this week that one of the two birds who swallowed prescription pills in the park has recovered and was released.